As General Manager, Jo oversees the administration of a range of high profile residential, commercial and land estate schemes. Solution focused, Jo is a talented negotiator — some would say a ‘born diplomat’ and is frequently called upon to manage competing demands and navigate dynamic environments. Developers seek Jo’s counsel regarding a range of questions and issues relating to the Body Corporate and Community Management Act (the Act). By distilling the Act’s complexities and outlining her clients’ responsibilities in a succinct and meaningful way, Jo helps developer clients navigate through a smooth establishment and settlement process. Jo’s early career hints at the genesis of her ability to impart information with such clarity. A former teacher, Jo strikes precisely the right balance between educating and empathising. This compassionate communicator is also equipped with a Certificate IV in Property Services and more than a decade of strata industry experience. With great sincerity, Jo describes her colleagues as almost akin to family. Perhaps this explains her pride in having notched up more than seven years with Stratacare Australia. 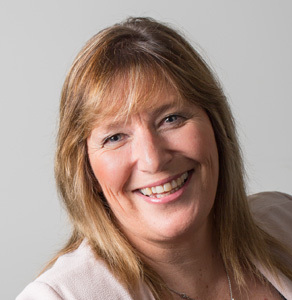 Initially engaged as a Body Corporate Manager, Jo performed at a consistently high level and over a six-year period has progressed to the senior position she holds today. In her downtime, Jo enjoys exercising and going to the cinema. From matinees to movie marathons … according to Jo, the big screen delivers the best relaxation.